Bitcoin’s offshoot cryptocurrency – Bitcoin Cash – has been recently getting more and more support in the online gambling community from a number of well-known operators. 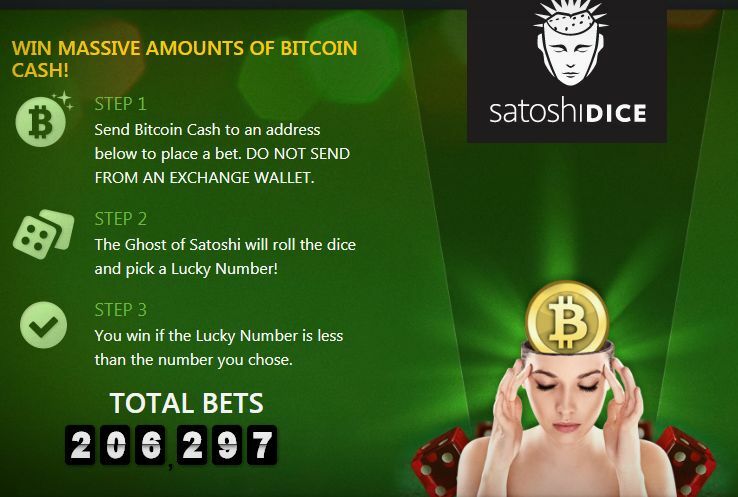 One of the latest gambling sites to throw extra support behind the rising cryptocurrency is Satoshi Dice –the oldest of Bitcoin Dice sites online that’s been active since 2012. Apart from officially adopting Bitcoin Cash into its platform, the site has now taken things further and donated a large chunk of Bitcoin Cash to a non-profit that aims to increase its usage. Satoshi Dice’s latest donation came over the weekend and it was inspired by a Reddit post by the user “jarenfeser” who wanted to help the non-profit Bitcoin Cash Fund with a 48-hour donation challenge. Kicking off the challenge was a message by the user who said that he will “match all donations made to the Bitcoin Cash Fund (up to 300 BCH)” during the following 48 hours. The Reddit Challenge ended up being quite fruitful for the non-profit as a total of $250,000 in Bitcoin Cash donations were made within only 8 hours after the post went live. Satoshi Dice made the most notable donation during the challenge. Satoshi Dice was the brainchild of Erik Voorhees – a startup founder known for his involvement in the cryptocurrency sector. Voorhees is the CEO of the Shapeshift exchange and a former CEO of Coinapult – a service for sending Bitcoin via e-mail and SMS – who owned Satoshi Dice partially before the site was sold to an undisclosed buyer in 2013 for the sum of 126,315 BTC. Originally a Bitcoin-only site, Satoshi Dice later switched to taking only Bitcoin Cash, saying that the offshoot cryptocurrency was “true to the original spirit of Satoshi vision”. 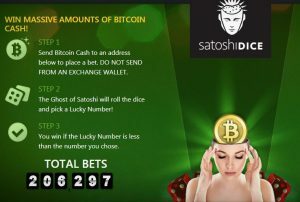 Satoshi Dice was a strong driving force in Bitcoin adoption as it quickly became the leading Bitcoin gambling site online, causing high levels of Bitcoin transactions and accounting for $15 million in bets in less than a year after its launch. And although its traffic has decreased throughout the years as many new operators launched, the site’s support for Bitcoin Cash could still significantly contribute to the adoption of the new cryptocurrency. If you’re interested in learning more about Satoshi Dice’s games, its provably fair system, or anything else about the site you might be interested in, make sure to check out our Satoshi Dice review.